Renowned for its avant-garde creations and distinctive aesthetic, rebel watchmaker ArtyA embraces a delicate, poetic mood. All eyes turn to the dial of the Butterfly watch, a kaleidoscope of butterfly wing fragments enhanced with gold leaf. 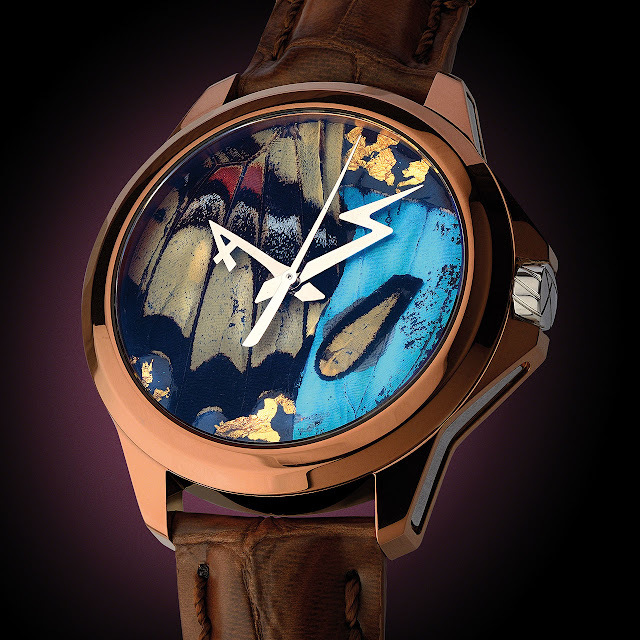 Shimmering, vivid, brilliant colours come together to reveal themselves in a superlative composition by ArtyA's dial artist, Dominique Arpa-Cirpka. These unique creations are shown to full effect in a case whose classic form is draped in three original shades of chocolate, black or blue. Exclusive and with endless possibilities for personalisation, from the composition on the dial to the shape of the hands, even the case diameter and colour, the Butterfly collection lends new style to custom-made. Different, and unique by nature. 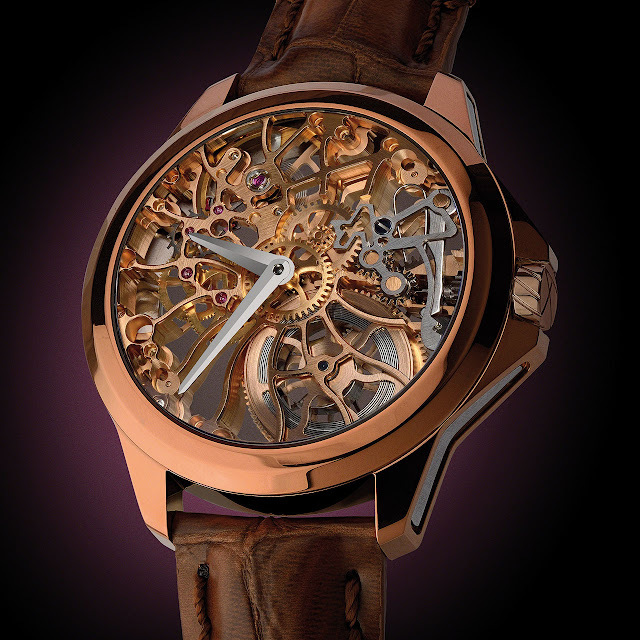 Mechanical automatic, 25 jewels, 28,800 vib/h, 46-hour power reserve. 316L stainless steel, chocolate, black or blue PVD with steel, black or ArtyOr lateral inserts, 42 mm. Available in other sizes from 38 mm to 47 mm. Anti-reflective sapphire crystal and engraved back. Water-resistant to 50 metres (5 bar/165 ft). Tropical butterfly wings enhanced with gold leaf and natural pigments. Hands can be personalised.